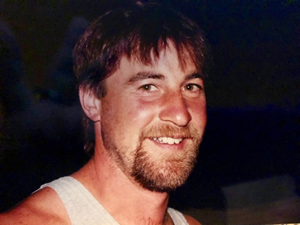 Robert “Bob” S. Posner, 53, a long-time resident of Keene and formerly of Spofford died unexpectedly on Friday, November 9, 2018 at Dartmouth-Hitchcock Medical Center in Lebanon. Bob was born the son of the late Stanley Posner and raised by Stanley and his step mother, Linda S. (Plante). in Patchogue, N.Y. He was educated in New York and Keene. He graduated from Keene High School class of 1983. Bob continued his education working as an apprentice plumber for four years earning is Master Plumber’s License. He was formerly married to Amy D. (Head) Posner who he has stayed friends with. Bob was a self-employed Master Plumber working for himself and various contractors over the past thirty years. He enjoyed hunting, fishing and playing horseshoes. Time was spent camping with family and friends enjoying all that nature provides. 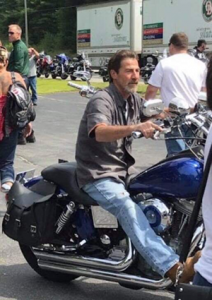 He also enjoyed riding his Harley Davidson motorcycle. Bob always had time for his family and friends especially his children that he loved. He was a giver of time to his community as a volunteer Fire Fighter and EMT for the town of Spofford for over ten years. 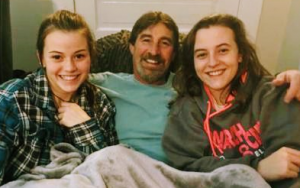 Bob is survived by his children; Mackenzie L. Posner and Isabel L. Posner of Keene. His stepmother, Linda S. Posner of Keene. Three siblings; Cade Nutting of Stoddard, Patty Middlebrooks and her husband, Art of Redondo Beach, CA. and Dennis Posner and his partner, Joe of Landing, N.J. In addition, he leaves cousins, nieces, nephews, extended family and friends.